CAN a V6 engine be aggressive and elegant at the same time? It has been offering us a return to “real” driving lately, as demonstrated by its F-Type manual and AWD models. But while it’s emphasising manual transmissions, it’s not blindly increasing engine size. Like a lot of brands, it’s upping the power by turbocharging a smaller engine, rather than bumping it up a couple of cylinders. That’s a sort of amusing non-option option on its newest model, the XF sedan. 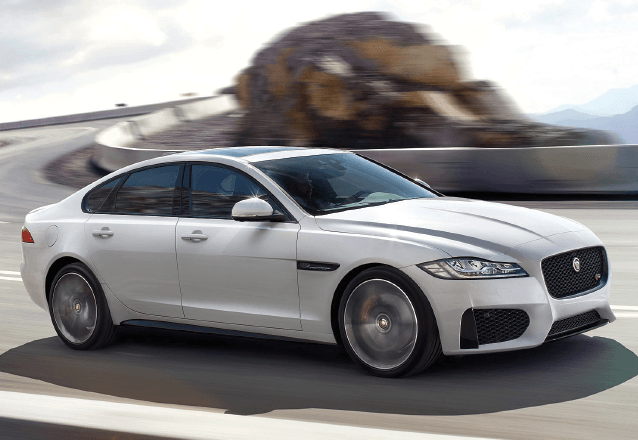 The 2016 Jaguar XF — a second-generation Jag designed to compete with the BMW 5-Series and Mercedes E Class — comes with either a V6 or a V6 engine. Yep. You can choose the same 340hp heart offered in the outgoing model or a new turbocharged 380hp one (with 332ft-lb of torque) offered for this year’s model. Word on the street is that Jag will give us a V8 and a diesel option when it brings out some R variants, but that won’t be for some time. At any rate, Jaguar has assured me that the current V6 is tuned to be enough for now. The car has an eight-speed automatic transmission and an instinctive all-wheel drive that get it to 100kph in five seconds. It also has a 75%-aluminium skeleton, which makes it 120kg lighter and significantly more efficient than its predecessor. I like how this cat looks. 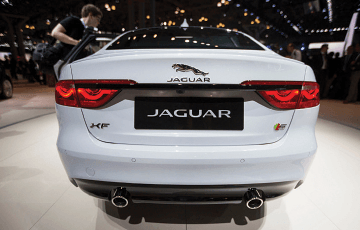 It has an arched feline nose, sculpted sides and a stylish rear end. It has the red accent of badges on the grille, which connote its “supercharged” status. And it sounds great, which is no small thing. Some have criticised the “grrrrrowl” of the F-Type as fabricated fun, but the more I drive Jaguar cars, the more I love their particular sound of aggression. 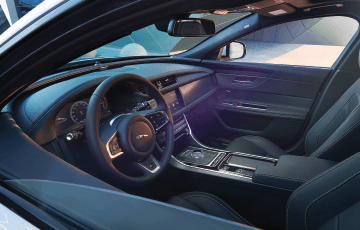 Inside, it has more interior space and a sportier body than its predecessor, with matte wood accents and leather seats with contrast stitching. The back seat feels smaller than you might expect but not cramped. Headroom in the front is satisfactory if not ideal. The new technology system that offers a choice of 8in or 10in high-definition screens is 10 times faster than the one in previous models. All-wheel drive, LED headlights and an extensive system of laser head-up display and parking enablers are optional. I would go ahead and splurge on them.